On September 23, 1889, the Nintendo company was founded as a manufacturer of playing cards. Today, Nintendo is one of the largest video game companies in the world. The Nintendo Koppai company, opened in Kyoto, Japan, in 1889, originally manufactured hanafuda, a type of Japanese game played with cards. 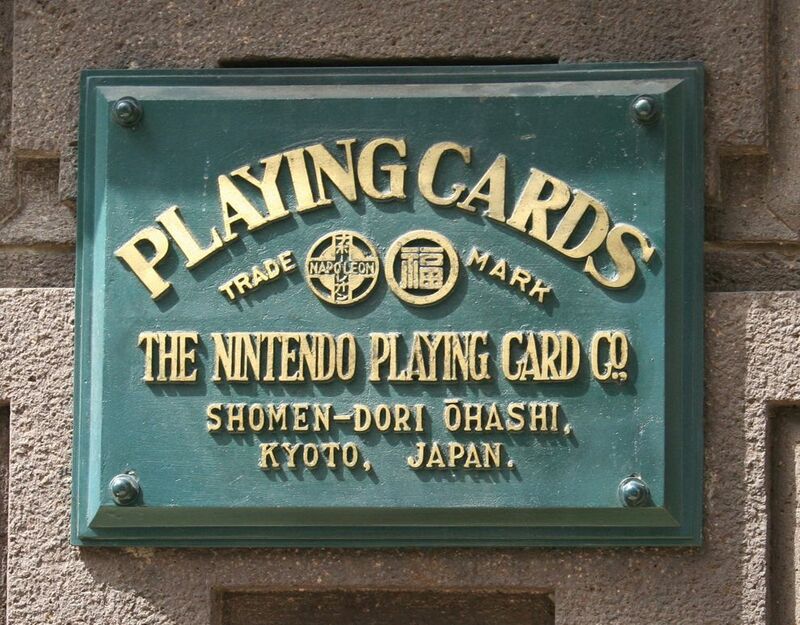 Nintendo left the playing card business, but still has its headquarters in Kyoto. Photograph by Eckhard Pecher, courtesy Wikimedia. This file is licensed under the Creative Commons Attribution 2.5 Generic license. On September 23, 1889, Nintendo Koppai opened for business in Kyoto, Japan. Today known simply as Nintendo, the corporation is one of the largest video game companies in the world. Nintendo Koppai started off as a manufacturer of hanafuda, or Japanese playing cards. Nintendo continues to manufacture and market games, just a little more high-tech. Nintendo manufactures both hardware (such as the Wii and Game Boy devices) as well as software (such as the Donkey Kong and Mario Bros. series of games). In 2013, Nintendo boasted a profit of $5.6 billion, with more than 5,000 employees all over the world. to brag or show off. game played using an electronic microchip device, where human interaction (such as use of a keyboard or joystick) manipulates the game's visual display.